To kick the hunger pangs coming in thick and fast , after we finally managed to get a table (it’s generally busy so better to book on the weekends), we started off with Nasu Dengaku which is Seared Aubergine with miso paste and sesame – absolutely delicious and very very morish,a portion of the inside out roll – rice on the outside comes in 6 pieces and disappears really quickly but the best starter was the soft shell crab in a delicious batter deep fried – you just eat the whole crab – no wasting any part of the crustacean – quite something considering we spend hours ploughing through a regular crab for example. 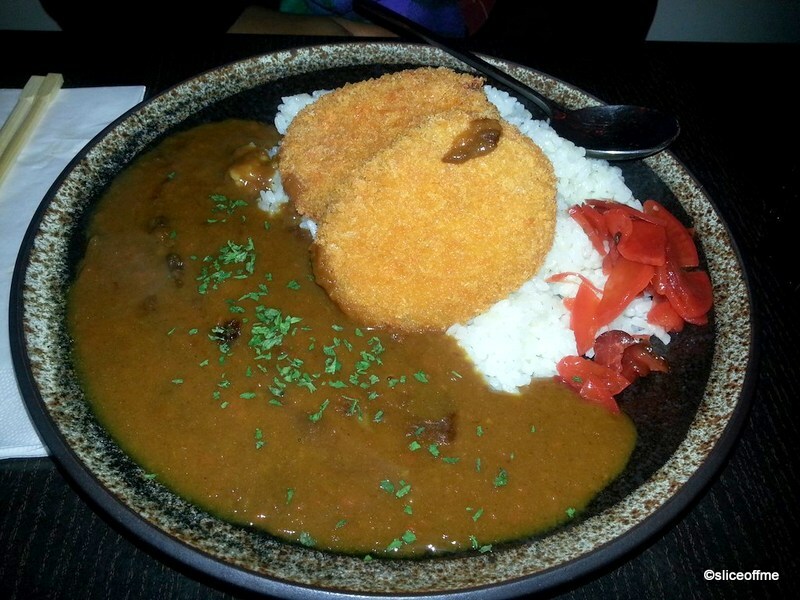 By now I have rather quickly downed my Aloe Vera drink , while N choose to have some Japanese Beer -Asahi – a smart choice I say and great company to her main Pumpkin Korroke Curry – Pumpkin croquettes with Japanese curry and rice-served in a very generous portion size as you can see. While I choose the Katsudon – Deep Fried Pork cooked with egg on rice , admit the pork was a bit chewy but delicious all the same. My friend N and I were meeting after a really long time and had loads to catch up on , so being seated in a tiny restaurant with hardly any space between tables I had my doubts. 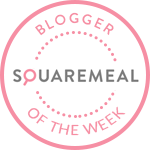 But I must say that the food was so marvellously tasty and the service so good, polite and quick I am going back for certain! So if you are around Angel and looking for a a good evening eating out on a budget – head to Tenshi for some cracking tempuras and decent wine and if you want to eat on a budget then skip the starters and alcohol and order one of the wholesome mains with a beer or a soft drink and keep your bill per head under £12, not bad for an evening out on a budget I say! Sounds like you enjoyed your feast. What an interesting and unusual meal. I haven’t tried any of these dishses, but the surely do look good. Thank you Janice, yes interesting it was Indeed and I will be experimenting with soft shell crabs soon but my absolute fav was the aubergine , such a gret combo of flavours in there! That sounds like very tasty food at very sensible prices! Thanks Syvl yes indeed I did! 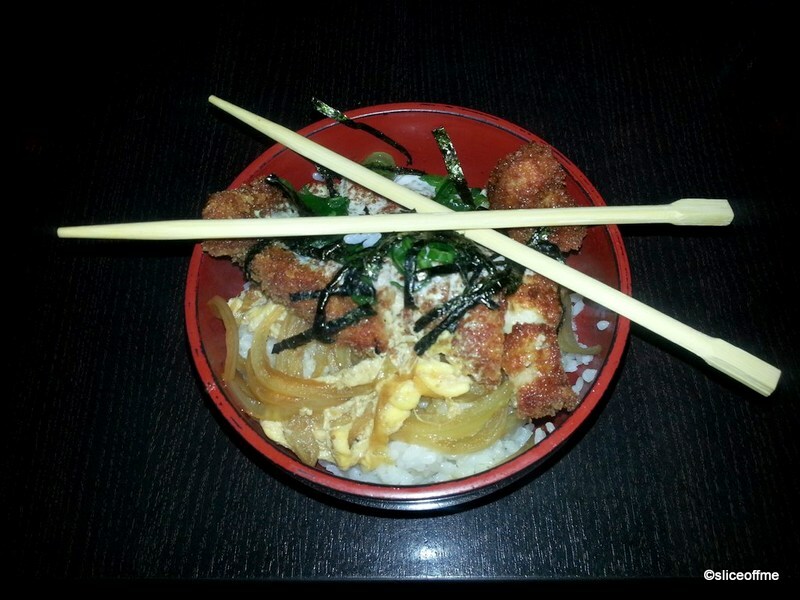 I love japanese food and will definitely be bookmarking this post for future visit. Thanks Tina, maybe we could go together! Please tell me why I am looking at food on a fast day? It is such a bad idea and now my stomach is rumbling! It’s always fun hearing about all the restaurant over there, even if I’ll probably never make it to them! aww thanks Morgan! Hope you do get an opportunity to eat at the better ones some day soon! Gorgeous food Manjiri. 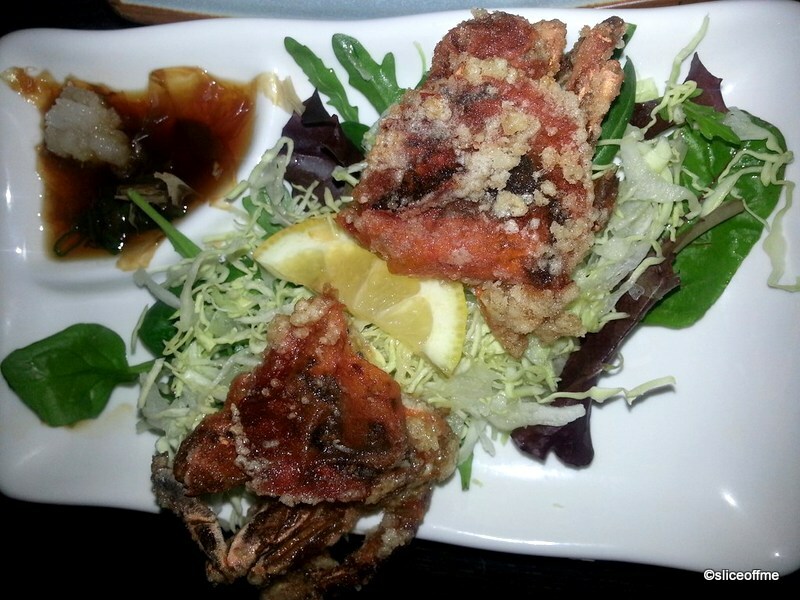 I am so intrigued by soft shell crab, I’ve never eaten it. Do you eat the legs & everything? Janie , yes yes , you just gobble the whole fella! Isn’t that amazing!it’s crunchy and delicious and the batter is so light and tasty! hehhe Janie yes yes its worth trying once espp if u are very likely to fall in love with it! £12 is very good value! 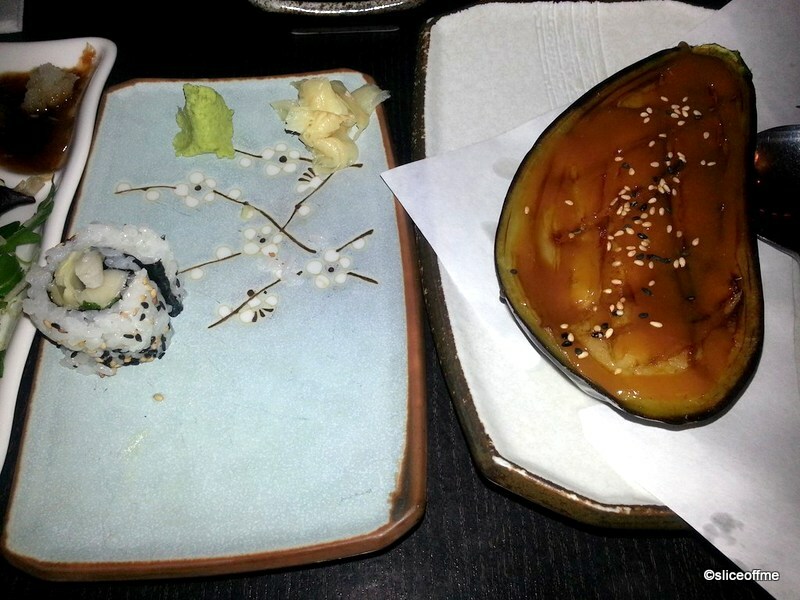 We had Japanese last week and not only was it delicious, but it induced serious tableware envy. Really? where was this Helen? I have bitten with the love for all things tableware and food prop!